Brave Like Me – How To: Make Your Own Noodle Blooms! 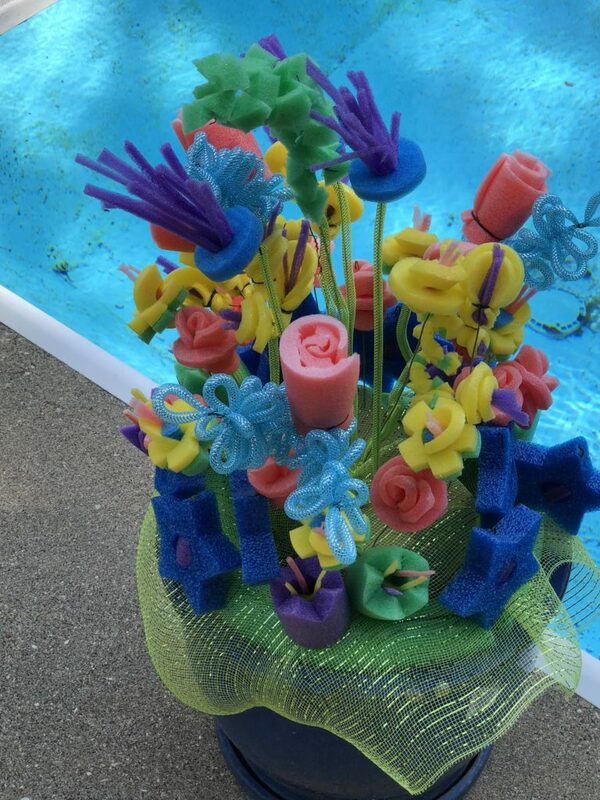 How To: Make Your Own Noodle Blooms! The most creative person I know, once again, blew my mind with her imagination and, well, creativity. If you’re looking for a cute way to decorate your home, wedding, special event, or if you’re heading into a parade this summer…I have just the idea for you! I’m really fortunate to have a mom who is endlessly inspiring in her innovation, decoration and personal style. Every Christmas she has the most beautiful home and every summer she has the most adorable back yard. This year, however, she didn’t want to invest in her go-to (geraniums) just to throw them away in the fall. What did she do instead? I have two words for you: Pool. Noodles. 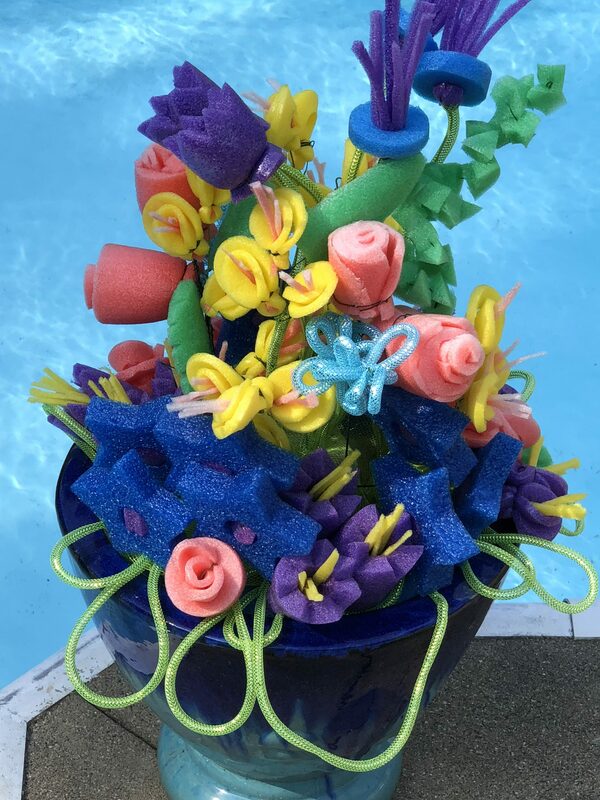 That’s right – my mother the creative genius made 4 beautiful bouquets to decorate the pool with POOL NOODLES. Is your jaw on the floor yet? If yes, read on. I have all details on how you can make these for yourself! Well, almost all of them. The key to these is to make them your own! Green tubing or something green to create the stem for the flowers. If you have a wire cutting tool, use it! Put all animals in a different room. They will be intrigued by the fun looking new toy. Cut pool noodles into desired shape. Hint: stick with the original form. Don’t force it to be something it’s not! Plop wire onto stem – be sure to add a hook at the top of the wire so buds don’t pop off or blow away. Cut green wire ribbon and wrap around stem wire. This does take some time, but it’s a great way to make unique flowers that will earn you some serious creativity cred (I won’t tell, promise). 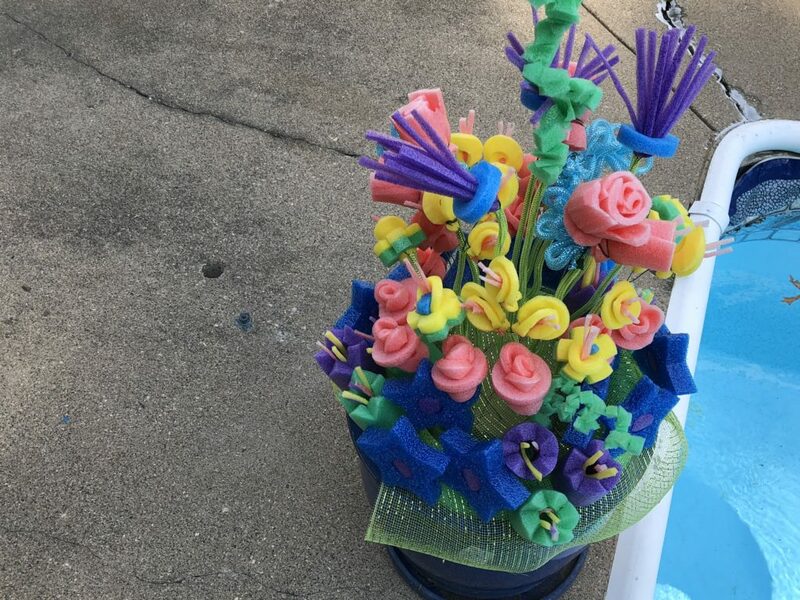 Now go get yourself some pool noodles, get creative, and get on that Instagram so you can share your beautiful creation. Use #bravelikeme when you do!